Sexual Harassment and the #MeToo Movement were the topics of our March Speaker, Anna Elento-Sneed, President and Founding Director of ES&A Law Firm. Anna eloquently educated the audience on a brief history of sexual harassment issues and shared how women's equality issues paralleled her own career from attending an all-male college to her work as an attorney in the labor and employment field. Anna shared that in the early 80’s, law schools were 30 percent women and gender discrimination, not sexual harassment, was a huge topic. But, the focus was on the law rather than women's stories and experiences. By 1986, however, the concept of sexual harassment had evolved and was required to be considered in the workplace. With high-profile cases, such as Professor Anita Hill's allegations of sexual harassment against then Supreme Court nominee Clarence Thomas, the U.S. Navy's Tailhook scandal, and landmark Supreme Court cases on sexual harassment that allowed companies to be sued over sexual harassment, awareness of the concept of sexual harassment was on the rise. Initially, sexual harassment was generally considered to be male to female and female to male, but in the later 1980s the concept evolved and began to include male to male and female to female. By 1998, sexual harassment litigation had increased to a point where it threatened to paralyze the court system. That same year, the Supreme Court held in the case of Faragher v. City of Boca Raton that employers may be liable for supervisory employee acts that result in a hostile work environment. Therefore, employers must establish policies on behavior acceptable in the workplace. Fast forward to 2018 and the #MeeToo movement. We still have issues. Women now feel that if they cannot report upward, then report outward. Women are now coming forward years after events have taken place to report cases of sexual harassment, although we don't each individual's reason for waiting - whether it's fear of reprisal or a personal agenda, clearly sexual harassment is still an issue in society. Anna's final thought. To combat sexual harassment in the workplace and prevent a company from being held liable for the acts of its supervisors and employees, the company must establish guidelines and it must educate its employees. Webinar training is not effective, the spoken word is better. Allison Izu Song is the owner and designer of Allison Izu. With a father who is a serial entrepreneur and a creative mother, Allison is well-suited for the tough fashion world. Celebrating 10 years in business, she has hit her share of speed bumps but says in hindsight they were of benefit to her career because she always learned something. Attending Sacred Hearts Academy and wearing a school uniform helped Allison realize how clothes are used to express personality. She also credits the all girls’ school with instilling in her the belief that she could do anything. While at UH Manoa, she fell into the fashion world when she needed an extra elective and chose sewing. Once she realized that this was an actual major for many of her classmates she was all in. Shortly after graduation Allison moved to New York where she attended the Fashion Institute of Technology. Back in Hawaii after graduation, Allison worked on various projects including sewing wedding dresses. She eventually took the lead to create a line of jeans. Taking a risk, she borrowed all the money she could for materials and production in China. When the shipment arrived, however, it was all wrong – the fabric, the fit, everything was all wrong. This was a devastating blow but again, a huge life lesson. With courage, Allison picked herself up and headed to try her luck in the Los Angeles fashion scene. She found that the tough and cut-throat LA industry rubbed off on her. Allison saw herself being a person she didn’t like and needed to find a way to come home to Hawaii and our authentic Aloha way of life. Once back in Hawaii, Allison took another stab at a denim line and set her sights on getting her jeans in Nordstrom’s. She begged the buyer every day until he relented. Her jeans where a big success. The only problem was they were so good. They were such high quality, women only bought one pair. She needed to branch out to create tops and accessories. It was during this time that Allison founded the Cut Collective, an organization to help others start fashion related businesses, but eventually realized she was putting other people’s dreams in front of her own. Over the last couple years Allison has been taking time to get to know herself again by getting back to the creative and solving problems side of the industry. She is her first customer. She wears every piece for at least a day to judge how it fits, how it moves. She has to love the piece or it doesn’t get made for the public. Allison seems to really love fashion and has found joy in creating and sharing her work. Her advice to us “be authentic”. Listen and trust your inner voice. Don’t quiet yourself because of fear. Allison Izu is located at 1114 11th Avenue in Kaimuki. Clothing is 100 percent made in Hawaii and they recently opened a family line, Olivia and Owen, named after her children. Connie Mitchell, Executive Director at the Institute for Human Services (IHS) and Julie Arigo, OWL Past President. Our November Speaker was Connie Mitchell, Executive Director at the Institute for Human Services (IHS). IHS is the oldest, largest and most comprehensive human services agency focused exclusively on ending and preventing homelessness in Hawaii. 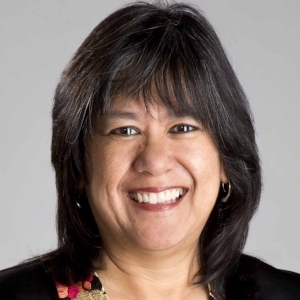 Born and raised in Hawaii, Connie earned a BS and MSN in Nursing from UH. Her diverse career included financial planning, pastoral work, teaching mental health nursing at UH and healthcare management. In discussing her background, Connie shared that in 4th grade she was told she was “bossy” and should quiet down. Fortunately, she did not and has used this as a strength to advocate for the homeless. Connie says she believes it is possible to end homelessness. It is a very complex problem, but can be solved if we are all in this together and willing to help. The reasons for homelessness are varied: eviction, job loss, health issues, addiction, domestic violence, incarceration, etc. The quicker the homeless can find housing, the quicker they recover. There is not one solution that will fit all. She described some of the programs that are working such as Housing ASAP through the Hawaii Community Foundation and Kahauiki Village a public/private partnership headed by Duane Kurisu. -- Functional Zero - which means ending homelessness quickly for individuals and families, but does not necessarily mean no homelessness.The good news is Family Homelessness is on the decline. The goal is to end family homelessness by December 2018. -- Goldilocks Philosophy – defined as providing the right amount of support to cultivate and ensure sustained self-sufficiency so that families and individuals can avoid homelessness again. 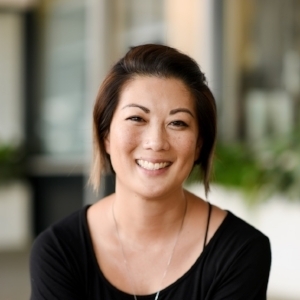 Connie sees the solution as a coordinated systems approach including: coordinated entry, planning, collecting and examining local data and performance measurement and evaluation. Today she sees lots of redundancy and feels there needs to be one database that is used by all services agencies to better share information. T.J. Joseph, Operations Manager, Honolulu Habitat for Humanity Operations Manager. Honolulu Habitat for Humanity partners with families who cannot afford a traditional loan or mortgage to build their own home or repair an existing house. Each adult family member is required to help with the construction by contributing hours of "sweat equity". Habitat for Humanity also provides homeowner educational and financial services, on-site construction management and volunteer recruitment and management. Each family follows a defined process involving an application, financial and homeowner education, financial review, family visits and site visits among other steps, to ensure the build and the home will be successful. Once a family moves into the home their mortgage payments go directly into a fund that enables Habitat for Humanity to build more houses for more families. TJ’s knowledge of the home building process comes first hand, as she, her husband and their four children were a Habitat for Humanity partner family building their own house on a Hawaiian Homelands lot in Waimanalo several years ago. When TJ and her family were first starting their journey toward home ownership, she was diagnosed with stage-four cancer. After surgery and many months of chemo she was cancer-free but the battle had depleted their savings and they could no longer afford a traditional mortgage to build on their lot. The Josephs along with five other families worked side by side with volunteers, community groups and Habitat for Humanity staff every Saturday for a year and a half to realize their dream of home ownership. Though their children were too young to work on-site, TJ and her husband Levi involved them by discussing the values that were the foundation of their family. Values like honor, faith, love and humility. The children wrote down these values and placed one in each of the 24 footing that would support their home. TJ shared her personal pillars that helped her on the path to home ownership and in her work today helping others. Always learn. Lead by example. Pride - confidence tempered with humility. Reciprocate. Habitat for Humanity is supported by grants, donations and proceeds from Restore - a retail store that accepts donation of construction materials and furniture for resale. For more information visitwww.honoluluhabitat.org. 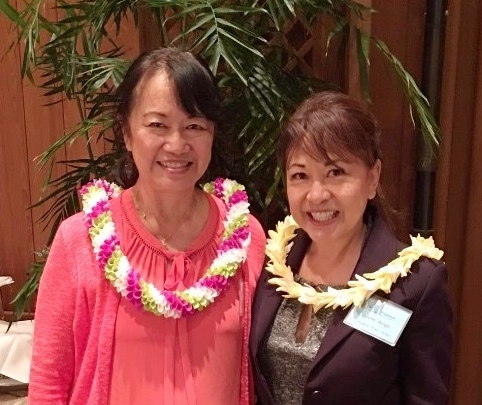 Our July Speaker was Janice Okubo, Communications Director at the Hawaii State Department of Health (DOH). Her office handles the media relations and public information for all public health issues. Janice has a fine arts degree from the University of Hawaii. She says the background gave her two valuable lessons: 1) how to receive criticism and learn from it and 2) the value of process…learning the steps and being open to innovation. Both of these lessons have helped her in her role at the DOH. Janice’s presentation topic was medical marijuana and how the Department of Health worked to build a program for the coordination of patient registration, dispensary licensing and certification of testing labs in largely unknown and uncharted territory with no national guidelines. More than 17 years ago Act 228 was signed into law, allowing qualified patients to register with the state for the use of and ability to grow medical marijuana. In 2015 the responsibility of oversight was transferred to the Department of Health. DOH was not given any additional funding or staffing to oversee this program. At the time, there were 11,000 registered patients all managed in a paper-based format. The DOH has created a website to handle registration, information and certification. The number of registered patients has increased by more than 30% to over 17,000 registered patients. Besides the oversight on patient registration, DOH now supports the dispensary-licensing program. The DOH was tasked with screening over 66 applicants and selected 8 qualified dispensary licensees. Other States have begun medical marijuana programs without lab testing requirements leading to some serious health issues. The Hawaii DOH is working to certify labs to ensure safe product for qualified patients.